New Era caps are the official hats of Major League Baseball. Millions of baseball caps are sold each year. When it comes to official sports equipment, they're the starting point in fashion. Baseball caps are one of the first things fans notice when they look at a player on TV, at the ballpark or on a baseball card. Many of these New Era caps have iconic logos that are instantly recognizable, calling up a franchise's history or even an attitude. So what are the best baseball caps? Here is a list of the top 10 New Era caps based on the total number of hats sold by the company in 2011. The 2011 World Series Champions have one of the brightest baseball caps in the game. 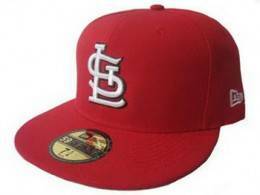 The classic lettering harkens back to the days of Stan Musial and Bob Gibson, giving it a throwback feel as well. 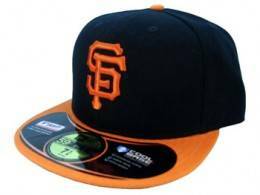 The dark body of the San Francisco Giants cap goes with almost anything. The team's youthful core that includes Tim Lincecum and Buster Posey lends to a feeling of cool in the bay and beyond. Long-time fans can also pay tribute to the franchise's history of stars including Willie Mays, Willie McCovey, Will Clark and Barry Bonds. There seems to be a trend forming here: recent World Series winners are hot sellers. 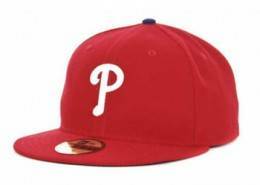 Of course, that's not the only criteria for a popular baseball cap but who wants to wear something from a team that always loses? Okay, maybe not all popular baseball caps are from winning teams. The Pittsburgh Pirates are an exception, and a beautiful exception at that. 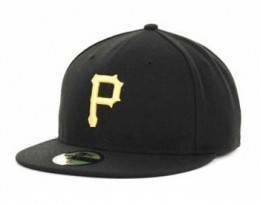 The iconic yellow 'P' on a black hat is stunning, providing just enough contrast to make a subtle pop. 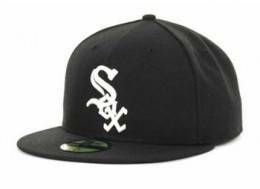 The White Sox have had one of the most popular hats since its debut in late-1990, ahead of the opening of New Comiskey Park (now U.S. Cellular Field). Over the years, the White Sox hat has been spotted on many celebrities. There was also a popular customization among Grade 8 classrooms that changed the word 'Sox' into something a little more risqué. Between Matt Kemp, Clayton Kershaw and new owner, Magic Johnson, there is a lot to get excited about in Los Angeles again. The sorry Frank McCourt era is coming to an end and the Dodgers look to be headed back to their place as one of the most iconic franchises in all of sports. No offense to all the Reds fans out there, but this is something of a surprise. 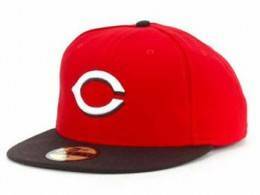 Cincinnati doesn't rank as one of the biggest teams in the league, yet their baseball cap is in the top five. No doubt a young and exciting team on the brink of greatness has helped fuel sales (and pay for Joey Votto's monster contract extension). 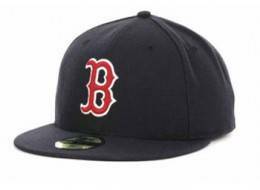 Although it's not number one (or number two), the Red Sox baseball cap is instantly recognizable. The team's fan base reaches far beyond the Green Monster at Fenway, past New England and into the greater baseball community. Red Sox fans are a proud bunch and they have a prideful cap to go with it. 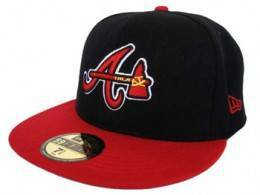 The Atlanta Braves have the only baseball cap on the list to have something more than stylized letters. A tomahawk compliments the stylized 'A,' adding some iconic flair. With a youthful core, the Braves seem primed for another string of division championships and even greater appeal among baseball fans throughout the world. Even if you loathe them, it's easy to recognize that the New York Yankees are bigger than baseball. Perhaps that's why they have the most popular New Era caps in all of baseball. 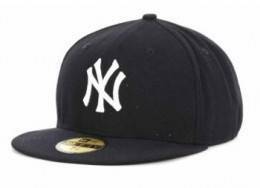 Put the Yankees 'NY' logo on any hat, whether it's the traditional navy blue or something more trendy, and everyone knows what team it stands for. NEW ERA 59FIFTY FITTED HAT. MLB. CINCINNATI REDS. 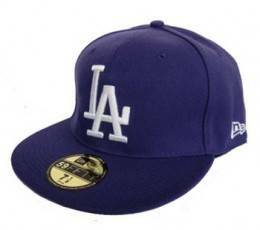 marked $17.99 = only reason to buy a new LA dodger cap. You can find them on clearance racks in the mall all day long,,, even if they are a little dusty.